Today’s world is global and connected, and your customer demographics are shifting. Has this happened before? Sure. 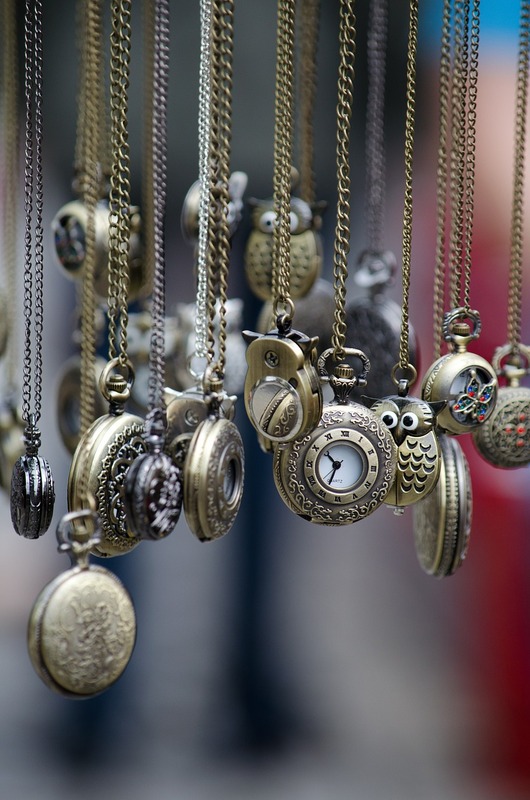 Customer demographics shift all the time, sometimes slowly, and sometimes more quickly. What you do and don’t do as a business can and will result in slower or faster customer shifts. All companies need to routinely reinvent, change, and mature to ensure their brands and products are known and desired. That’s how you maintain and increase revenue, but it’s not the whole story. It’s essential to maintain relevance to your target demographics while the sand shifts. That may not sound like anything new. But you haven’t been here before, and what worked previously won’t likely work now, or in the future. And that’s a big risk to your revenue! Particularly because, this time around, everything really is different. Technology and digital have brought new wants, needs, and opportunities. New and exciting ways to interact, engage, communicate and connect are here. The older demographics, with their values well formed, their experiences codified in memory and rooted in their lives, are adapting to these changes. Seeing the benefits and efficiencies, and loving the “cool” factor. They’re tweaking the way they interact, engage, communicate, connect, purchase and develop loyalty. Their frame of reference and their mindset are rooted in what they adapted to when technology didn’t offer what it does today. So a long, long time ago, your customer remembers being with a group of friends as a teenager and hailing a taxi while in the city. Said customer is now over 40, and uses the UBER app to order a car. That learned behavior, that memory, from years ago is still there, but it adapts to what is offered today. They may not be completely comfortable with the “new” ways, but humans are survivors, and we adapt. How much longer will they be interested in your products and services? How much longer will what you offer be relevant to them in their various life stages? This is your present and future challenge. The younger generations haven’t just adapted to the technology opportunities. They’ve grown up with them, and they know no different. They have no previous frame of reference that you can leverage to your previous sales, communication or marketing tactics. The way they communicate, connect, interact and generally live is a result of opportunities they’ve always known and take for granted. The ability to connect anytime, anywhere with friends, groups, and the like-minded has changed the concepts and ideas they bring to the marketplace, and shape their response to your product or service. When the demographic shift occurs—and that’s a when, not an if—will you be ready? Are your products and services ready or in transition? The solution is to transform your company or organization into a digital business. Many believe this means putting up a website, listing product information or moving a current software/physical product online, offering electronic commerce and storefronts and engaging on social media. Those are important building blocks, but becoming digital is so much more. Becoming a digital organization or company means changing how you operate, what you focus on, how you produce and how you interact. Digital is an opportunity to create internal and external efficiencies in what is now a 24-hour, always-open global world. Digital is recognizing that we are in a borderless world, where everyone with Internet access is a potential customer. Digital is changing your organization or company to be proactive and engage with customers, members, or stakeholders whenever they want, and by whatever means they prefer. Digital is developing, structuring and formulating your products with the customer experience and voice at top of mind. Digital is immediately and instantaneously delivering your products, services and support in a digital self-service environment that is always ready to provide a helping hand. Digital is conversing and engaging with your customers and fans while becoming a part of their lives. Digital is becoming a connector, a facilitator and a credible, helpful resource. Digital is becoming a storyteller and creating an emotional connection, resulting in loyalty and positive word of mouth while moving beyond your product being the representation of “you”. Digital is leveraging Big Data and recognizing the insights it can provide you when you ask the right questions. Digital is thinking differently and openly about what will work as the demographics begin to substantially shift. Your challenge is to move forward and create readiness while maintaining your existing businesses and approaches. Don’t forget though that those who have adapted can indeed come along with you for the journey. And that’s a good thing, because you may see major changes ahead in the next three to five years, and they’ll require a significant investment of time, knowledge, and dollars. Which World Do You Want? Now, it’s time to decide whether you want the red pill or the blue pill. The good news is that customers who are loyal are more accepting that you may think. The key to creating that acceptance is to listen actively, engage with them frequently, and demonstrate that you are responsive to what they need, want and think. That acceptance allows you to set a realistic path forward, keep up a healthy pace of change and transition, and demonstrate results that the customer experiences. The other option is to look ahead three to five years to a period of declining customers and sales, leaving you with less revenue or resources than you have today. Competitors who take a more pro-active path will take your business from you. Is that the legacy you want to leave in your name, your company or business? 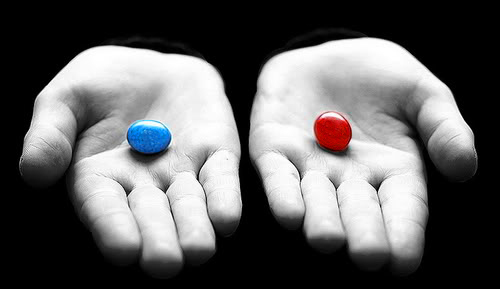 It really is a red pill (status quo) or blue pill (willing to take the path) kind of choice. One leaves you feeling safe today, comfortable in your own fabricated safety net. The other shows you reality, with all of the exciting possibilities and benefits that are with us now, or just over the horizon. To me, it’s an easy choice. How about you? Let me know which pill you would take. I look forward to your comments on this post! And if you’re ready to take the blue pill, 2040 Digital can serve you. We do great, transformative work that produces results. We have deep experience. And most importantly, we’ll work with you to develop a customized path and plan that speaks to your unique business needs. It is all about the Content!